I have been a fan of Fefe Dobson since her first album and have been eagerly anticipating new material since...well since her first album I guess. When the release of her second album Sunday Love was ultimately scrapped, she was dropped from her label (Island Records) and then re-signed to her old label...it seems like it's taken forever to get to this point but FINALLY a new album is on the horizon. Called Joy, her official second album is due for release on July 6th. Her current single, the electro/pop/rock jam "Ghost" (co-written by Dobson, Kara DioGuardi and Kevin Rudolf) follows previous singles "I Want You" and "Watch Me Move," both of which were featured a ton of TV and film promos (including American Idol, Vampire Diaries, and Lipstick Jungle). It really sounds like her label is working hard to get this talented Canadian singer/songwriter some much needed exposure. "Ghost" was supposedly released in May but maybe not in the U.S.? I can't find it on iTunes. It definitely takes Dobson in a more "current" musical direction with the whole electro thing but the song still works with a more pop/rock arrangement as seen HERE during a performance on Good Day Sacramento. Get this girl to the top of the charts where she belongs! 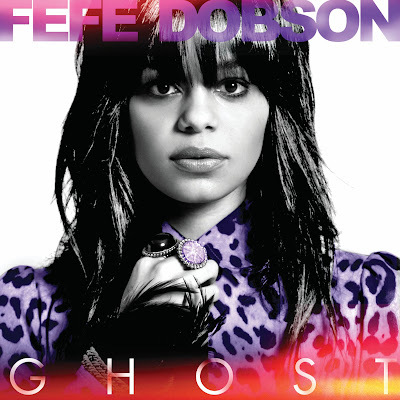 Check out the album version of Ghost by Fefe Dobson here. What do you think of the new sound? Has she lost her edge? A new song from 25 year old Swede Jonas Erik Altberg (AKA Basshunter) has made it's way online and is supposedly the first single off of his new album, his sixth following last year's Bass Generation. I've always considered Basshunter to be the male equivalent to Cascada's Natalie Horler and this new song does nothing to change that opinion. The song was co-written by Thomas Troelsen, Engelina, and Cutfather and produced by Troelsen and Cutfather. Not all that bad really and who can resist Alterberg's sexiness. He's GORGEOUS. Those Swedes sure know how to breed GORGEOUS pop stars. Look out for an exciting remix package including mixes by Digital Dog, Almighty, Payami and Mark Breeze. Preeya Kalidas is a GORGEOUS UK actress who's appeared everywhere from the popular soap East Enders and Bend It Like Beckham to various stage productions in London's West End and East End. Now Preeya is honing her talents in on music, proving that she is in fact the epitome of a "Triple Threat." Having signed on to Mercury Records last year, and joined forces with music management company Big Life (La Roux, The Klaxons, The Verve) Preeya has been working hard on her debut album, creating "a collection of one-hit-and-you’re-smitten smash hits." According to Preeya in a press release, "Music is not something that I’ve just plucked out of the air or that I’m turning to capitalize on my exposure in a soap opera. For me its always been my passion, something I’ve always wanted to do." Preeya doesn't really have a lot to prove here, it really just sounds like she's doing what she loves and simply using her acting success as a platform to jump start her music career. Hey! If you are presented with an opportunity...jump on it! From the sounds of her first single, she's been paired up with the right producers and could have something going on here. We'll have to wait and see I guess but so far so good! First single, "Shimmy," due out July 26th, was written by Celetia Martin and Alex James, and produced by Kalle Engstrom and features remixes by Bimbo Jones, Rishi Rich and Desi. Check out the UK promo's tracklisting below. The beautiful Sarah McLachlan released the video for her beautiful new single "Loving You Is Easy" last week and it's fun and fancy free, much like the single itself. McLachlan looks gorgeous as she saunters through changing backgrounds. The single, which is currently sitting pretty at #17 on Billboard's Adult Contemporary Chart is the first official single off of McLachlan's new studio album, Laws of Illusion, due out June 15th. Enjoy some stills from the video, directed by Liz Friedlander, below.